Got this message from MTN this evening, as if 500mb isn't insufficient as it is already. 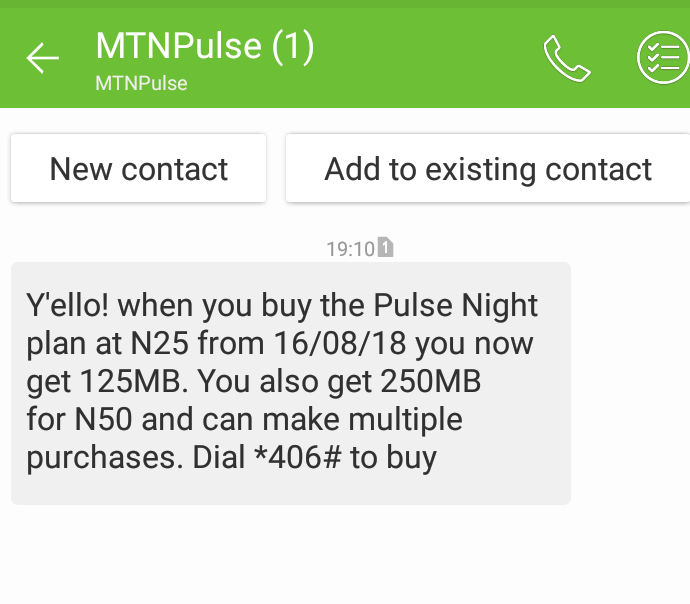 Before now MTN offers 500mb data for 25 naira to pulse subscribers. The data can be used from 12am to 4am. Seems from here on they will be offering only 125mb for 25 naira and 250mb for 50 naira.